Brad M. LaMorgese is trusted and respected by his clients as a passionate advocate with the ability to analyze and balance competing interests in every matter he handles, from beginning to end. He is one of the few appellate family lawyers in Texas. During his nearly two decades in practice, he has achieved success in dozens of cases in Texas appeals courts and the Texas Supreme Court, as well as the U.S. 5th Circuit Court of Appeals. He has handled appeals involving all areas of Family Law, including interstate and international custody, property division, award of property, habeas corpus, grandparent v. parent rights, bill of review, post-divorce disputes, alimony disputes, parentage issues and paternal rights. Known for his integrity and excellence in complex litigation involving interpretations of law and cases regarding jurisdictional disputes, Brad has a long track record in complicated sophisticated cases, handling all types of family litigation matters including divorce; complex property division; high-net-worth cases; business valuation issues; division of estates; jurisdiction challenges; child custody disputes, both interstate and international; and marital agreement litigation. He also drafts marital agreements, including pre- and post-marital, and partition agreements. 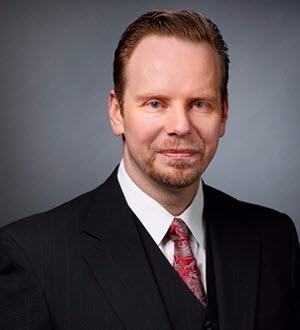 Board Certified in Family Law by the Texas Board of Legal Specialization, Brad is admitted to practice as a member of the State Bar of Texas, U.S. Courts of Appeals for the 1st, 5th, 6th and 11th Circuits, and the U.S. Supreme Court. Brad earned the National Center for Missing and Exploited Children Award of Merit in 2005 based on his work before the 5th U.S. Circuit Court of Appeals in a case involving the Hague Convention and the civil aspects of international child abduction. He has regularly earned recognition among the state’s leading Family Law attorneys on the Texas Super Lawyers list. He also has earned recognition on The Best Lawyers in America list, D Magazine’s The Best Lawyers in Dallas and Top Lawyers Under 40 listings. LaMorgese is Deputy Mayor Pro Tem of the City of Irving, Texas. He was re-elected by the voters in District 6 in May 2015 and is serving his second term. He is chair to the Planning and Development Committee and the Boards and Committees Appointments. He serves on the Transportation and Natural Resources Committee and is the council liaison to Irving Flood Control District, Section 3 and the North Central Texas Council of Government.